Merging gaming PCs into low-end brands failed for PC makers like HP, but Dell is giving it a shot. Dell is moving budget gaming PCs into the consumer Inspiron brand as it positions the premium Alienware PCs for a leap into the 4K and virtual reality era. 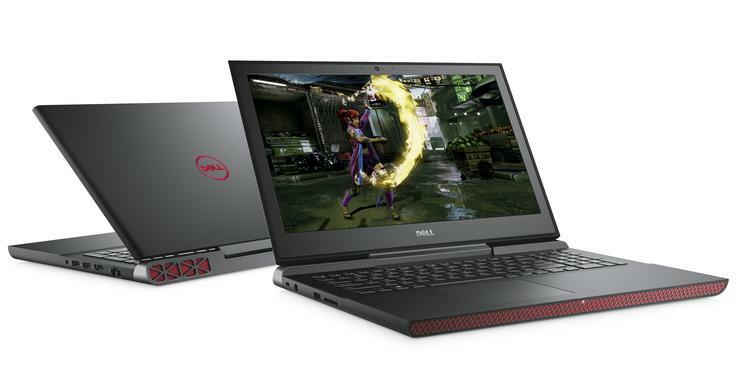 At CES, Dell introduced new Inspiron 7000 gaming laptops, which have the look and feel of Alienware PCs. With a starting price of US$799, the Inspiron 7000 models aren't as feature-packed as the new Alienware 13, 15, and 17 laptops, which were also announced at the show and will ship this month. The Inspiron 7000 models -- which comes with 14- or 15.6-inch screens -- have processing and graphics punch with high-end Intel Core i7 H-series Kaby Lake CPUs and Nvidia GeForce GTX 1050 GPUs. It's the first Inspiron gaming laptop and the fastest in that brand. However, the Inspiron 7000 is no match to the new Alienware laptops in speed, graphics, and features. The Alienware laptops are VR compatible, have faster chips, GPUs, and wireless connectivity, and they boast the Alienware Graphics Adapter port to attach high-end external graphics cards. The Alienware 17 has Tobii eye tracking for a better gaming experience. So why the divide between Alienware and Inspiron 7000? Dell is raising the profile of Alienware to be associated with new buzzwords like VR, 4K, and more of the latest technologies. Dell is trying to protect Alienware as a premium brand among gamers, an audience that is rapidly growing. But it's a risky proposition: A few PC makers have folded premium gaming products into consumer brands and paid the price. HP rolled its VoodooPC gaming brand into Envy and ultimately shuttered its Voodoo business thinking it wasn't a worthwhile opportunity. At that time, gaming was a niche market, but now it's growing, and HP is now making a comeback under its Omen brand. Attempts by enthusiast PC makers like Falcon Northwest to enter the wider consumer market with gaming PCs also haven't panned out. Over 20 years, Alienware became a recognizable brand because of its affordable gaming PCs in an otherwise niche market. That helped break the notion that gaming PCs were only for hobbyists, and it has now become a hot brand that Dell wants to protect through effective product segmenting. Thus was born the new Inspiron 7000 gaming laptop, which will appeal to low-end gamers and preserve the Alienware brand for enthusiasts, Dell executives said. "What you see in the Inspiron 7000 is really great performance at a price point that's more accessible for gamers," said Chris Saylor, a strategist on Dell's gaming marketing team. At the same time, there will be a shift in Alienware's strategy going forward. All Alienware PCs are in the process of being upgraded to boast the best technology, said Brian De Zayas, marketing director for gaming at Dell. Typical enthusiast gamers are moving up to 4K and new OLED screens, DeZayas said. Some 1080p screen options will still be available, but Alienware PCs will also be a notch up in a range of technologies like eye tracking, overclocking, and programmable keys. The Inspiron 7000 can be configured to include 1TB hard drives and 128GB SSDs. The laptops have 1080p screens, though the 15.6-model can be chosen with a 4K screen. It also has gigabit ethernet, 802.11ac Wi-Fi, up to 32GB of DDR4 memory, a subwoofer, and Waves MaxxAudio audio capabilities. The Alienware 13 is priced starting at $999. It has a 720p screen by default, but can be selected with an OLED screen with a resolution of 2560 x 1440 pixels. It weighs 2.6 kilograms, and the CPU options include a quad-core Core i5-7300HQ or Core i7-7700HQ, and GPU options include an Nvidia GeForce GTX 1050 or 1060. The Alienware 15 is priced starting $1,199 and has the option of a quad-core Core i7-7820K chip that can be overclocked to 4.4Ghz. A 4K screen is optional, and the laptop weighs 3.49 kilograms. The GPU options include Nvidia's GeForce GTX 1050 Ti, GeForce GTX 1060, or GeForce GTX 1070, or AMD's Radeon RX 470. The Alienware 17 is the most loaded gaming laptop and starts at $1,399. It supports Tobii eye-tracking technology, which helps enhance the gaming experience. It can be purchased with up to a 4K screen, and the chip options are the same as the Alienware 15. The system can be configured with Nvidia's GeForce GTX 1080 with 8GB GDDR5X. The laptop can hold up to 3TB of storage, with up to 2TB SSD and 1TB hard drive storage. The Alienware laptops have two USB 3.0 Type-A and one USB 3.0 Type-C ports, one USB Type-C Thunderbolt port, HDMI 2.0, and Mini-DisplayPort 1.2, Killer gigabit ethernet, and Killer 802.11ac 2x2 Wi-Fi. The laptops support up to 32GB of DDR4 memory.